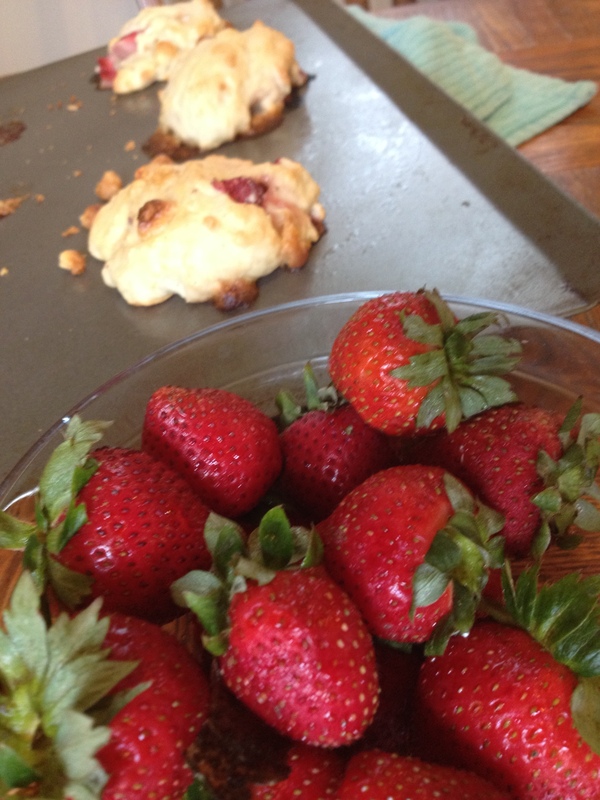 Easy Drop Biscuits part 2 – Strawberries! Easy drop biscuits are delicious, and I’m finding that whatever is fresh at the grocery store makes for a delicious addition! This time, there were some very fresh and plump strawberries calling my name. Using the basic recipe found here (https://startingfromscratch.me/2014/07/30/easy-drop-biscuits-maple-bacon-and-feta-green-onion/) I added chopped-up strawberry bits and white chocolate chips. Vanilla yogurt goes great in this, or add a bit of vanilla flavoring if you prefer another type of yogurt. Comments Off on Easy Drop Biscuits part 2 – Strawberries!